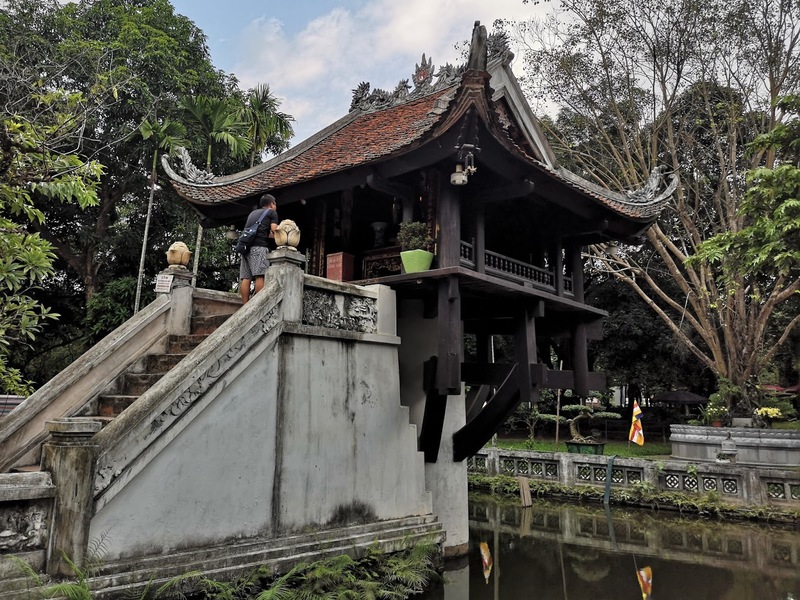 Hanoi became (North) Vietnam's capital city in 1946 and became reunified Vietnam's capital in 1976 after the Vietnam War (which the Vietnamese refer to as the American War, funnily enough). The city is much older than this though - in 2010, Hanoi celebrated its 1000th birthday. 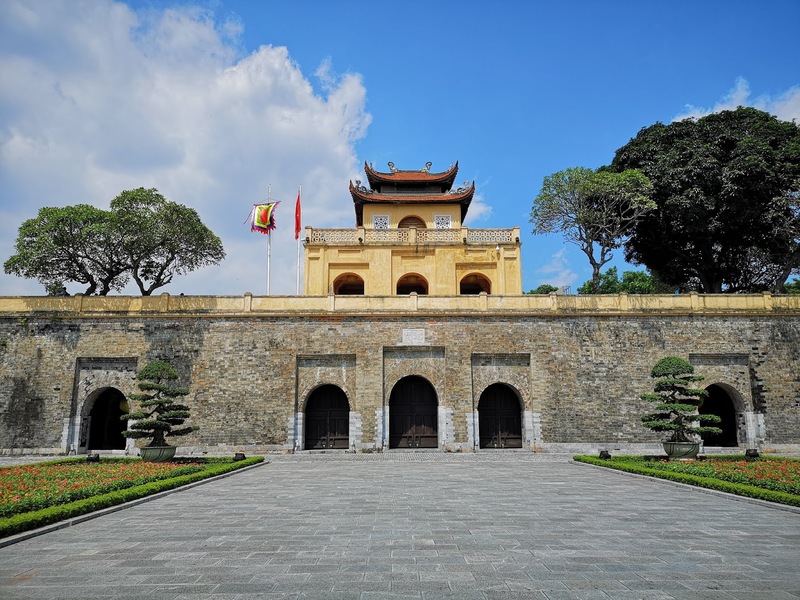 Which brings me to the first sight we explored, the Imperial Citadel of Thăng Long - an excellent place to start if you're visiting Hanoi. Built in 1010, this citadel was the seat of the court for 800 years, at which point the capital was moved to Huế. Entry costs 30,000 dong (about £1) and the citadel is open daily, except Mondays. 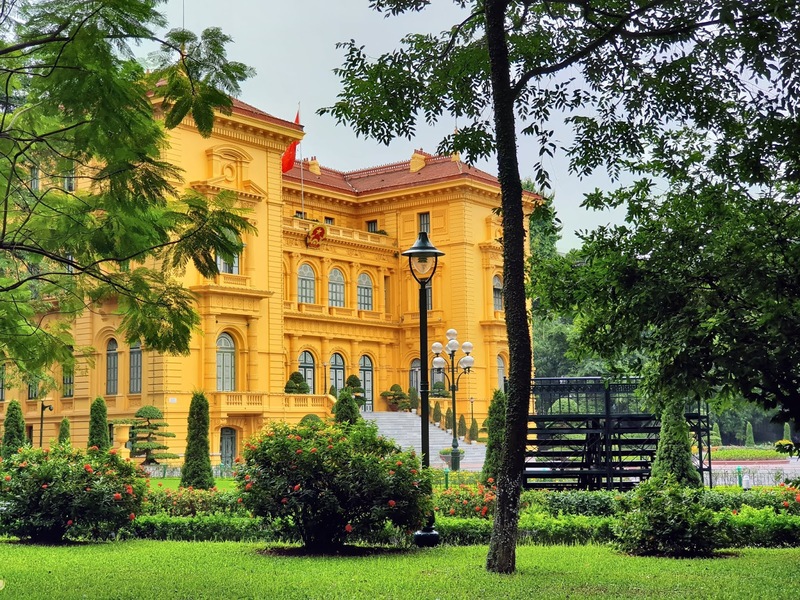 A UNESCO world-heritage site, the citadel was also HQ of the Vietnamese People's Army during the Vietnamese War. Wherever you go in Hanoi, the city's ancient heritage is weaved in with this war and also the influence of French colonialism. The French occupied Vietnam from 1873, who then lost control to the Imperial Japanese in 1940 (World War II). 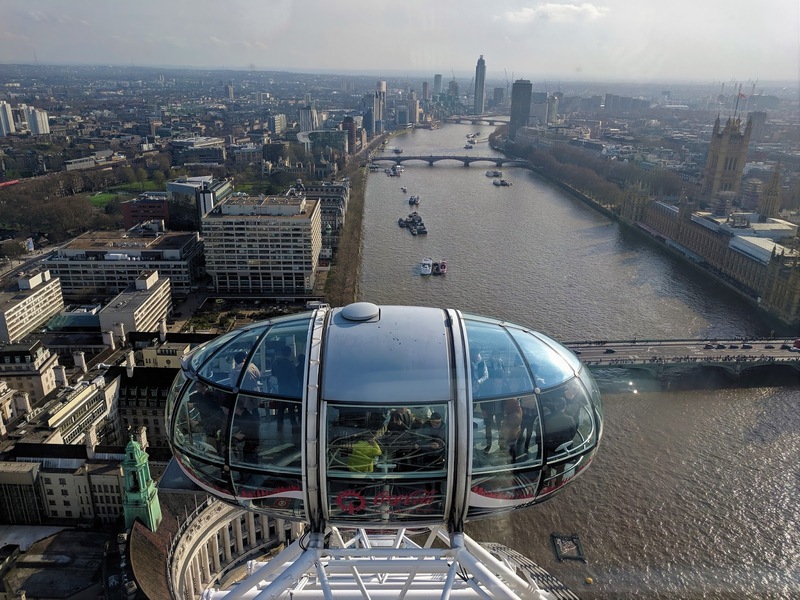 The city has a lot of history - and it has had a lot of occupation - so I'll paint you a brief, but hopefully accurate, picture of the city's more recent history throughout this post. From the citadel it's a ten-minute walk to the Ho Chi Minh complex, where you'll find the embalmed body of "Uncle Ho", aka Ho Cho Minh (pictured above). Ho Chi Minh was, and still is, a super important person to the Vietnamese people. After the Japanese occupation he led the Việt Minh independence movement as the Chairman of the Communist Party of Vietnam, later becoming both Prime Minister and President of the Democratic Republic of Vietnam. It's safe to call him the founding father of modern Vietnam - hence, the mausoleum and why Saigon was renamed Ho Chi Minh City. 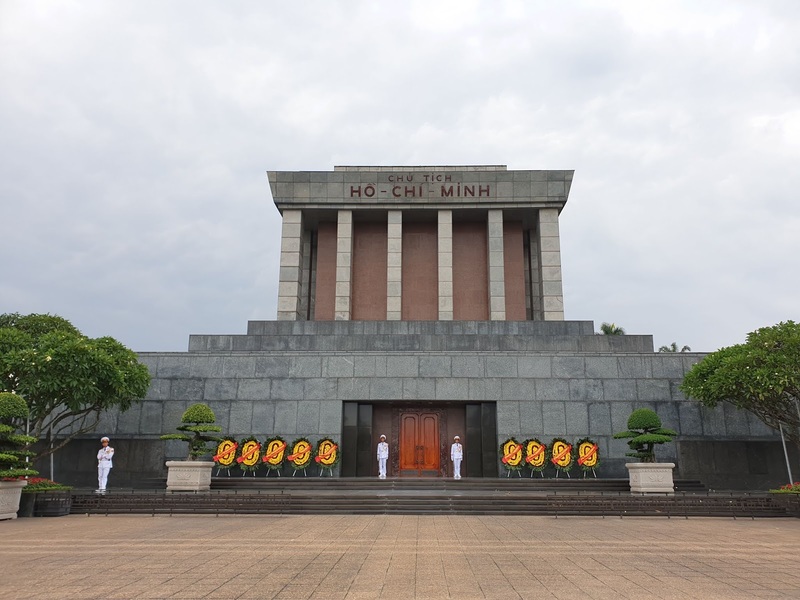 Which is why in the Ho Chi Minh complex you'll find, more notably, the Presidential Palace (pictured below), Ho Chi Minh's stilt house, One Pillar Pagoda (pictured above), the Ho Chi Minh museum, and the aforementioned Ho Chi Minh mausoleum. If you want to view his body, the mausoleum is usually open between 7.30 and 10.30am, Tuesday to Thursday and at the weekend, though the other places to visit in the complex have longer opening hours. If you do visit, as like when visiting any pagoda or temple, cover up your shoulders and down to your knees. 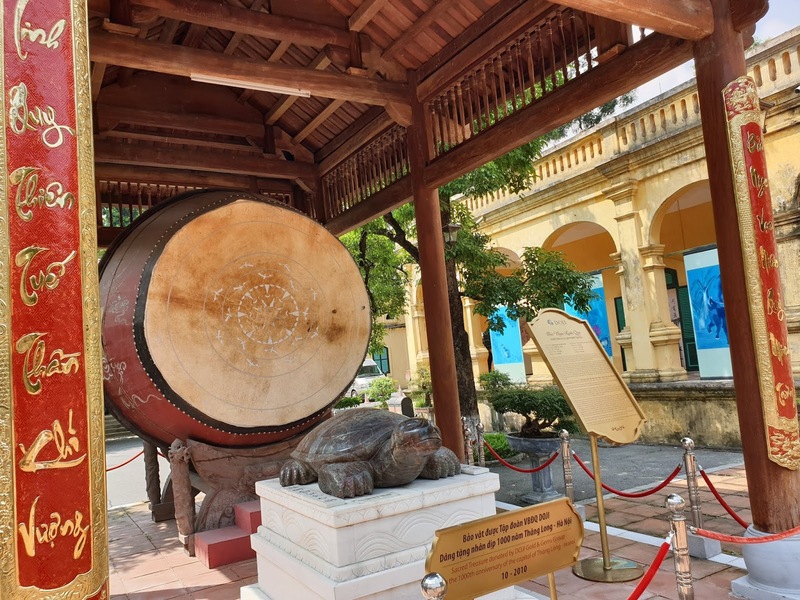 Whilst you can't go inside the Presidential Palace, you can get a closer view if you buy a ticket to visit Ho Chi Minh's stilt house and grounds (40,000 dong, so about £1.30; visiting the museum also costs the same, which we didn't do). The stilt house is where Ho Chi Minh lived from 1958 until his death, and it's a peaceful part of the complex. He did not live to see the end of the Vietnamese War and the reunification of North Vietnam and the Republic of Vietnam (South Vietnam). 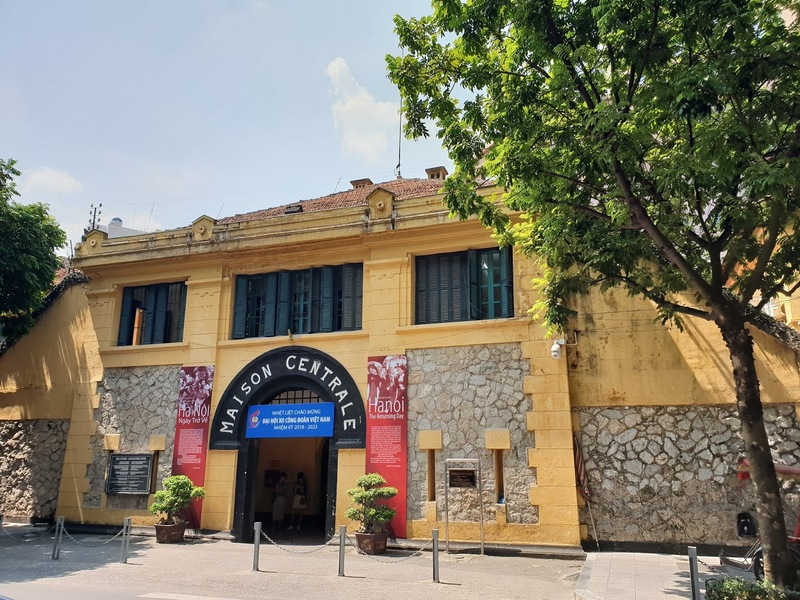 The final place I'm going to tell you about in this post is Hỏa Lò Prison, aka the "Hanoi Hilton". (Entry fee: 30,000 dong.) Hỏa Lò Prison was originally used by the French to house political prisoners when they ruled Vietnam; during the Vietnamese War it housed captured American prisoners of war. 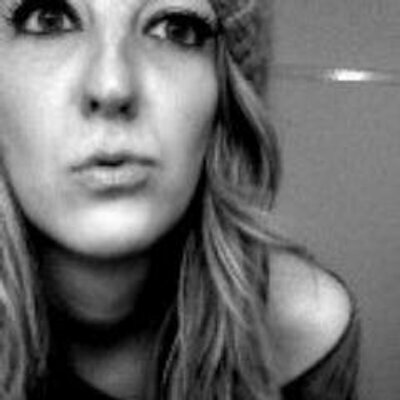 It's the American prisoners of war that gave the Hanoi Hilton the reputation it has today - at least in the Western world. Whilst the museum paints a bleak picture, it's worth heading there. I have to confess, before I went to Vietnam I knew very little about its history beyond snippets gleaned from films. 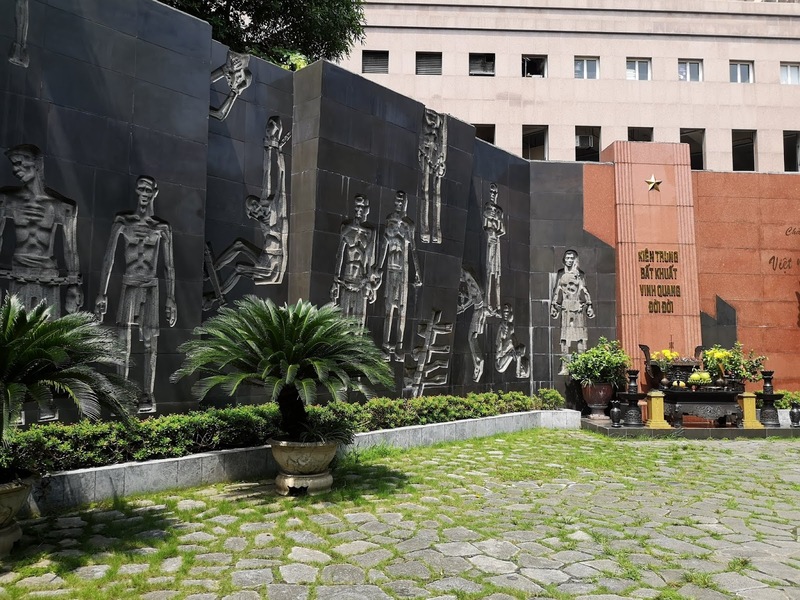 If you're the same, visiting the above places in Hanoi will definitely help you to fill in the gaps and get a sense of how Vietnam was shaped to became the country it is today. I'll tell you what else you can do in Hanoi next time.